Liquid Telecom, the pan-African fibre telecommunications firm controlled by Strive Masiyiwa’s Econet Group, has emerged as one of the principal backers of Hola Media, an aspiring South African video-on-demand (VOD), Internet protocol television (IPTV) and digital terrestrial television provider, which is seeking a free-to-air broadcasting licence from communications regulator Icasa. Liquid has taken a 20% stake in the business, with businessman Lincoln Mboweni and his wife, well-known businesswoman Noli Mboweni, owning a further 30%. The remaining 50% percent of the company is held by an entity called the CSG Trust, which will play a role in developing the content production industry in South Africa. 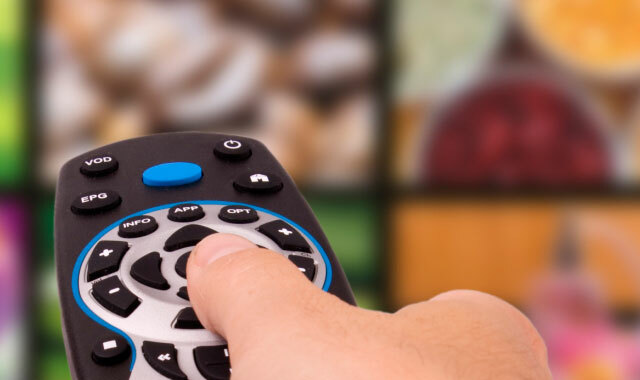 In a presentation at public hearings called by Icasa on Wednesday into the licensing of new free-to-air broadcasters in South Africa, Hola Media said it intended to offer a mix of free-to-air terrestrial TV along with VOD and IPTV services. Although VOD providers don’t require a licence to operate, those wanting to provide linear IPTV services do. Addressing the Icasa panel at the hearings, Lincoln Mboweni said Liquid Telecom has the IPTV platform and other technologies to allow Hola Media to deliver on its strategy. “They will take a stake in us and share in the risk as we engage in this project,” Mboweni said. In its oral submission, Hola Media said it intends delivering content to multiple devices, not only set-top boxes, but also through a mobile app for tablets and smartphones, as well as PCs and laptops. Customers will also be able to download content for later viewing, something the company believes is important in the broadband-constrained South African market. Few details are available yet about what sort of content Hola Media intends offering users, and which content, if any, will be charged for. The company intends integrating advertising into its offering to offset costs, it explained in its submission. He said Hola Media’s proposed offering is an “innovative product that doesn’t currently exist in the country”. He described it as a “value-added free-to-air-service” that will “allow people to get content through traditional means and also over the Internet”. However, at Tuesday’s hearings an entity called Rubicon Investments, which is also applying for a free-to-air licence, took exception to the Hola Media licence application, arguing that it is not a free-to-air platform but is rather planning mainly to offer pay-TV services. Hola Media rubbished this assertion. Rubicon also objected to Liquid Telecom holding certain veto rights in Hola Media. Liquid Telecom is a “foreign entity” that in effect has control of the business, Rubicon said. This is not allowed under law, Rubicon argued, and its application for a broadcasting licence should therefore be rejected. The more the better, good luck to Hola Media. Well I guess we’ll have to wait and see how things will turn out, I just don’t want ShowMax to be a leader like DSTV is. I do however agree with you that not all will last but we need competition no matter how small market may seem. Can the FF+ put ads on it at prime time viewing? That would upset their target audience’s pap en vleis no end. Indeed, but while the content creators are fighting over eyeballs, wherever those eyeballs land on the many channels on the Hola platform, Hola will get their cut.